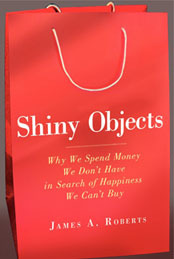 There is a particular section of my upcoming book, Shiny Objects, which exposes the crazy things we do as consumers. I refer to the short vignettes that appear throughout the book as “Consumers Gone Wild” (CGW). The opening CGW vignette talks about how much Americans spend on their pets. It is estimated, and remember we’re still in the middle of a recession (I don’t care what anyone else says), that we will spend somewhere in the area of $58 Billion, yes, that’s Billion with a capital “B”, in 2011 alone. Remember, a billion dollars is equivalent to a thousand million. So, it is forecasted that Americans will spend $58,000 million dollars on their pets this year. If my math is correct and assuming 127 million US households, we will spend $456.69 per household on our furry friends this year. That’s an average of $193.33 for every man, woman, and child in the US. And, in a somewhat related story, it is estimated that Americans will spend nearly $7 Billion on Halloween this year. Spending on Halloween decorations is running a close second to how much we spend on Christmas décor. Well, you might ask, what does this have to do about our furry friends? Well, according to the National Retail Federation, $310 million of that $7 Billion will be spent on Halloween costumes for our pets. Your pooch can dress up as a honey bee, Lobster dog, Bat dog, Darth Vader Dog, a somewhat blushing bride, or hundreds of other whimsical characters. And, I haven’t even mentioned the kindly grandma in Denver Colorado who is a member in good standing of the National Cookie Cutter Collectors Club (I like to refer to them as NC4) who owns 10,000 cookie cutters. Next week we will talk about where we keep all this “stuff”. This entry was posted in Uncategorized and tagged billions, Consumers Gone Wild, Halloween, pet costumes, Pets, spending. Bookmark the permalink. I remember you mentioning that first statistic of how much we as Americans spend each year on our pets alone and it blew me away. Still today as I read that again, I still have trouble wrapping my head around this unbelievable number. I feel like this really goes to show just how obsessed some people are with their pets and how much priority they give them. Being a pet owner myself, I understand that having a pet is never going to be cheap because of all the food, medical appointments, etc. but $58 billion a year seems a little to high for me. I own a dog of my own and I honestly just see the point of people dressing them up. When you think about it buying clothes for a dog is almost like throwing away money since you are probably going to make them wear it for one picture and then just store the outfit away somewhere so it can collect dust. 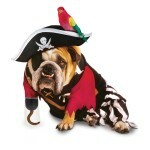 I always wonder where all of the pet costume parties are held on Halloween. I only know of the people parties. haha- bad joke. Anyways, my previous roommate had a difficult time deciding on what her dog would wear for Halloween. When she got the costume home and on the dog; she took one picture and we laughed. That pretty much all the value received from that product. I think its still crazy how expensive regular costumes are and why people are willing to pay upwards of $100 for a costume. I agree with Nicole to an extent. I love seeing little dogs dressed up in their cute little outfits, but when a dog has a larger (or more expensive) wardrobe than its human counterparts, there’s definitely a problem. It is truly amazing that we as Americans spend over $7 billion on Halloween. It is a holiday that is only recognized once each year and most Americans couldn’t even begin to explain the origins of the celebration. Yet no one hesitates to shell out $50 for a cheaply made plastic costume that will be disposed of after one use. In many countries of South America, the Halloween celebration has been adopted very strong. For example in Mexico an increasing number children and teens had completely forgotten the once traditional “Dia de Muertos” celebration. Wow, that amount of money spent on our pets is surprising! I knew Americans spent a lot, but I wasn’t expecting it to be in the billions. I have a dog, and my family at home has 3, so I know how pet expenses can add up over time. It sounds a bit ridiculous when you hear how much is spent on them, but then again, most households consider their pets members of the family. I probably spend to much on my dog because I feel like she is a member of my family. But there are times I have to tell myself she is a dog, I can’t afford all the things I want to spend on her. I will never understand why people dress up their dogs. Sure it is funny but i would never put my dog through a dramatic experiance like dressing him up as a lobster for Halloween.